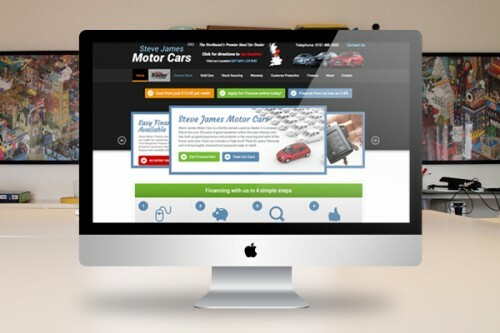 We are very pleased to have launched the redesigned website for Steve James Motor Cars, which went online earlier this month. The family owned dealership are experts in used cars and with a fresh new website, you can always find a car that is perfect for you. The new site focuses heavily upon finding finance solutions for prospective customers. There are two finance calculators, one which allows buyers to estimate the average monthly repayments on a car, and another which is based on customers’ income. Steve James Motor Cars prides itself on their extensive photo galleries, offering 75 photos of each car on sale. The site allows you to easily browse current cars, along with previous models which have been successfully sold.